Kids' Day at Fort de Chartres. This fun family event features 18th century games, contests and crafts for children including rope making, archery, and more. Concessions will be available for sale. All children must be accompanied by an adult. Admission is FREE and event is open to the public. See website for more information. Fort de Chartres State Historic Site can be visited year-round and is open Thursday - Sunday, 9am - 5pm. Admission is FREE, but donations are appreciated. The Fort also holds several events throughout the year, including the Fort de Chartres Rendezvous held in June, the Fort de Chartres French & Indian War Encampment in October, and the Fort de Chartres Winter Rendezvous & Woodswalk in November. 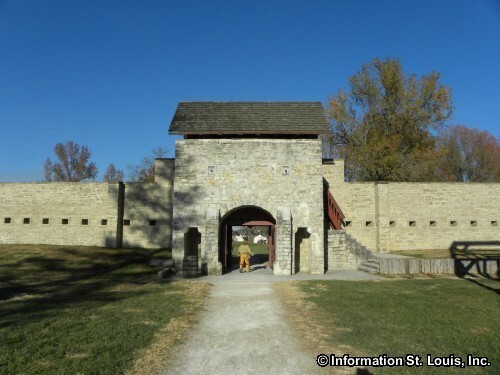 Directions: The Fort is about an hour from downtown St. Louis. Take I-64 East into Illinois to I-255 and exit going South. Take Exit#6 for IL-3 toward Columbia. Take IL-3 to Ruma and then turn west on IL-155. Follow IL-155 through Prairie du Rocher to the site. Fort de Chartres will be on the left.